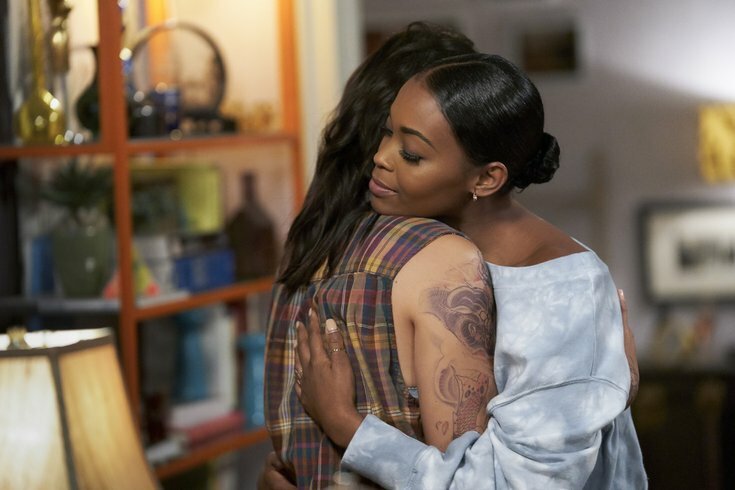 On the CW show 'Black Lightning,' Philadelphia's Nafessa Williams portrays Anissa (right) who, when she transforms into 'Thunder,' represents television’s first black lesbian superhero. 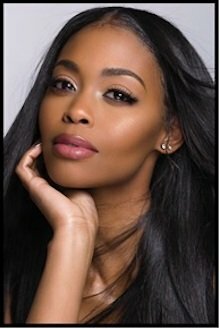 In West Philadelphia (born and raised), Nafessa Williams saw a side of the world that could have benefited from a superhero’s intervention. Little did she know then that that upbringing was preparing her for a pursuit of dreams that would take her first to New York City and then Hollywood. On that CW show, she portrays “Thunder,” television’s first black lesbian superhero, and a role for which she garnered a nomination for “Break Out TV Star” on the Teen Choice Awards. Last week, Williams spoke with PhillyVoice about the importance of breaking down barriers as well as how growing up in Philly helped mold her into the actress she is today. 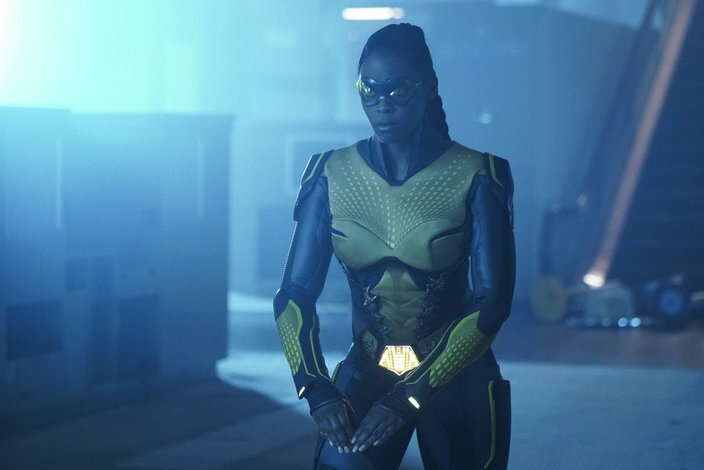 What follows is a Q&A with the woman who brought television life to a unique superhero. Let’s talk about growing up in Philly, and how it felt to miss the Eagles Super Bowl celebration because you were out of town for work. Oh man, I was out of town for work when they won but it looked like so much fun. It was such a great thing to see them win even if I wasn't in town for the parade. Growing up in Philly shaped me to be all that I am today. I love the city, its hustle and bustle, the unique people. We have a swagger about us that’s really cool. I call it the "Philly Hustle," the ambition and drive that we’ve been instilled with. I’m grateful for the artists who came before me; they’re proof that anything is possible. At times, it was challenging. Growing up in the inner city, I saw things that were challenging to overcome. I assume that’s what led you to initially pursue a degree in law at West Chester University and work as an intern at the Philadelphia District Attorney’s Office? I started out at Delaware State University, a historically black university, and it was the best one and a half years of my life. School got too expensive being from out of state, so that brought me to West Chester University, and that’s what led me to the DA’s office. I was in the homicide unit, helping break down cases. I even sat in on some court dates. It was a really cool experience, but it helped me to see I didn’t want to become a lawyer. When you’re 17, 18 years old, you don’t really know what you want to do, so I saw if it was something I wanted to do. One case in particular, we had so much information and we knew, with certainty, that the defendant was guilty. When I watched him get off of the charges, it was mind-blowing. I saw that being a lawyer would be too much for me. (The assistant district attorneys) were never able to turn work off. The cases were always on their minds. They were almost obsessed with solving these cases. It looked very stressful. When you’re going through boxes and files of evidence and records, some of it’s gruesome to look at. I just thought maybe this isn’t for me. What was your path from the Philly DA’s office to Hollywood then? Going all the way back, I was always a huge fan of Phylicia Rashad (from watching "The Cosby Show"). I wanted to be her. I saw this little brown girl (Tempestt Bledsoe who portrayed Vanessa Huxtable on that show) who looked just like me. This little kid on TV, that was something I want to do. That was my first desire to be on TV, to be an artist. I didn’t know how to go about doing that, though. I’d been acting and modeling as a teen, and after the DA’s office, I went to work at (the former) Martin Banks workers-compensation law firm. I hated it, even when I was driving to work. I thought I should find my dream and go for it, take it all the way. I called out from work one day for an audition and got fired the next day. It was the best thing that happened to me. Was your first break really a Foreman Mills commercial? Yeah. How about that? I thought I’d made it. I got $150 for that. I was so cool. That was my first feature film thanks to Charlie Mack. You know Charlie Mack. Everybody in Philly knows Charlie Mack. I heard they were doing a film in the city and I knew I had to be in it. I was just starting out, and Meek was early in his rap days. It was a very cook film, and I was grateful to be able to do it at him. Charlie is a mentor. It was how I started to make a name for myself. That’s when I thought it was time to really make a name for myself, so it was off to New York City after I got fired from the law firm. I was commuting in 2008 and in 2010, it wasn’t making much sense to keep commuting. I found myself there. I landed a role in a soap opera, "One Life to Live." I signed a four-year contract, but five months later, the show was cancelled. It was devastating. From there, it was off to Los Angeles. Are there any parallels between the character you portray on “Black Lightning” being part of a “generation of younger activists rejecting the notion of respectability politics” and the world we’re currently living in? Our creator and producer set out to make a show that parallels to society in our country today. Real life experiences are reflected in the show. It does a really good job of staying relevant and hopefully, it can spark some sort of change. What would Thunder’s priorities be in Philly these days? Thunder’s first priority would be violence in the inner city, and the criminal justice, specifically how unfair things are in that system. Freeland (the name of the city in “Black Lightning”) is just like Philly. I saw the violence, the police brutality. You’re really able to give a real-life feeling to it when art imitates life like that. What is the responsibility that comes along with portraying the first black lesbian superhero on television? The responsibility it to tell the truth of the character authentically. When young women come up to me and say they feel normal for being a lesbian, that’s huge. Did I feel pressure? Yes. But it’s all about telling the truth, and the truth is love, and that comes from authentically telling the truth of who the character is, and being bold. I hope to build schools in Africa, to be philanthropic, to do my part to change the world or help do that. If we’re talking about work, I’d like to get into comedy, and movies. It feels really great to be at the space I’m at. It feels really good to know that hard work pays off. Persistence is how I got to where I am, and to see it all come together is rewarding, knowing that I can do anything. Do you have any message you’d like to share with your fans in Philadelphia? Be a fearless dreamer. My goal and responsibility is to inspire others, little brown girls just like me, to tell that that there’s so much more outside Philly that you can accomplish.